I'm a noob with Xclaim and I want to do some tests. At this moment I don't have an enterprise router with Multi-nets or similar, this is because I do some strange things. I have created three routing interfaces and DHCP Server enabled with three different IP pools for each VLAN. -Xo-1 gets a management VLAN 192.168.10.X. 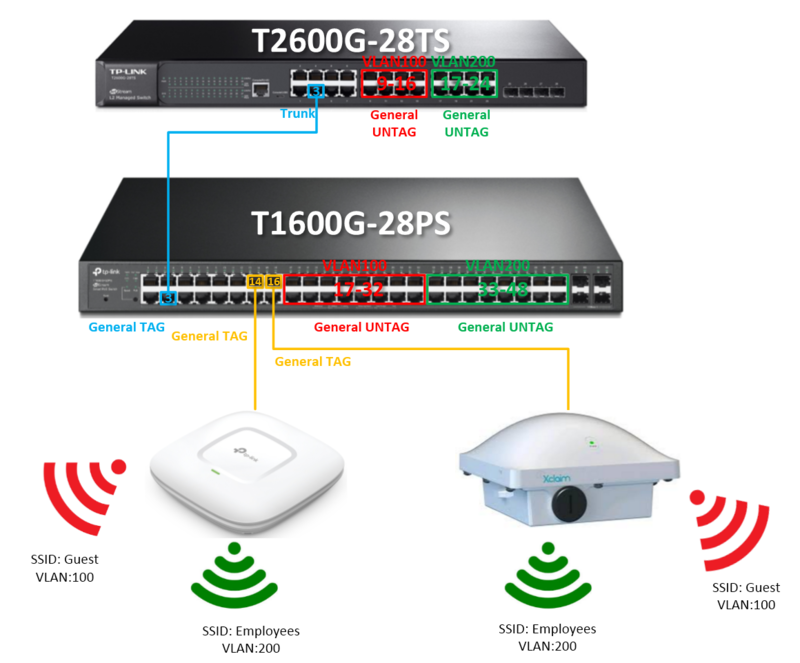 -I have tried to connect SOHO router in management VLAN for provide Internet Access to devices for to see if the problem is that Xclaim AP requires every time communication with cloud manager. Can you please check if the AP is in latest firmware version (2.2.0.0.29)? If not, please reboot the AP twice with a gap of 10 minutes between each reboot. If possible, we can schedule a webex session to debug this issue. Thanks for your reply @shriramrs ! Yes, Xclaim ap is in latest firmware, I saw that older versions had some problems with VLANs. I am pretty sure that I did some wrong config. Tomorrow Iw would test your reboot tip. Is it necessary that AP has communication with cloud all the time? I supposed that when I change settings via cloud manager after 15 minutes AP must be receive this settings. Yes. The AP should stay connected to the Cloudmanager to get the changes applied to the AP immediately. Do you have any idea about which is the problem? We need to login to the AP to debug this issue further. Is it possible to have a webex session now? Thanks for all your help! All the problems have been created by a broken ethernet cable. A pair from it was broken and this cause strange problems. 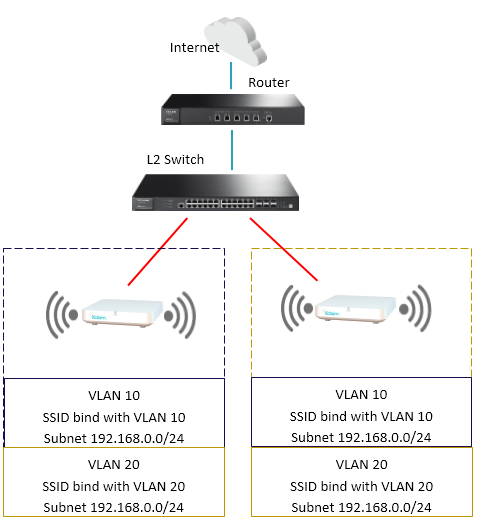 Is it possible bind SSID to some vlans in the same subnet? or it is necessary that each VLAN have his own subnet?